*I was provided a product, free of charge, for review purposes. All opinions expressed are my own. Please note that The FDA has never cleared or approved a baby product to prevent or reduce the risk of SIDS. The Agency is not aware of any scientific studies showing that a medical device prevents or reduces the risk of SIDS. I’ve posted previously about the importance of safe sleep practices/creating a safe sleep environment and ensuring that you have a safe mattress for your little one. Today I’m going to share with you one of the items we’ve had as part of our safe sleep routine from the very beginning: the HALO SleepSack. As I stated before, SIDS was on my radar before I was ever pregnant. 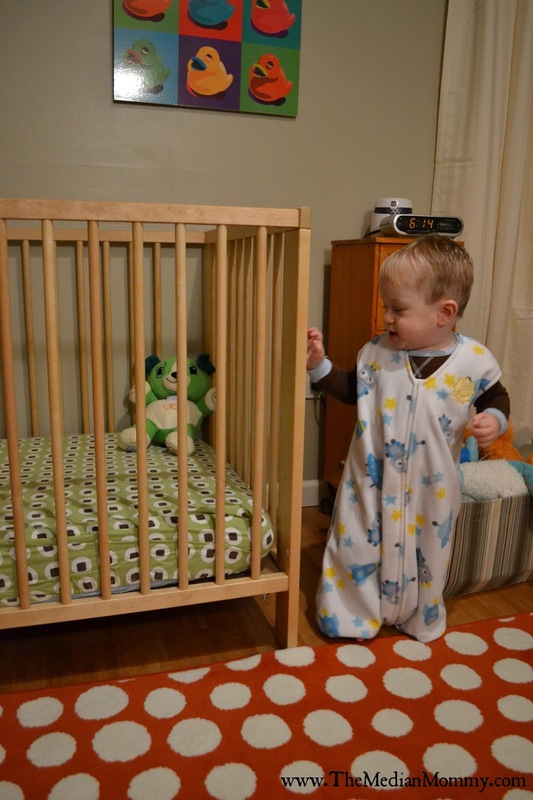 When we were preparing for Declan’s arrival, not only did we ensure that his sleep environment was safe, but we also purchased sleepwear that was conducive to safe sleep practices. We started Declan off in the 2-in-1 Swaddle, which he loved; we were all sorry to see it go when our pediatrician said that it was time to ditch the swaddle – it was an adjustment period for everyone! From there, we put D in the SleepSack Wearable Blanket, one HALO brand and a couple of others in different brands. The SleepSacks worked well for us and I felt comforted knowing that Declan had just the right amount of coverage for nighttime – not too hot, not too cold. Once D became mobile, we once again had to abandon the sleep sacks, but it coincided with a warmer time of year. Fast forward to this fall. Temperatures began falling, but Declan is now walking. 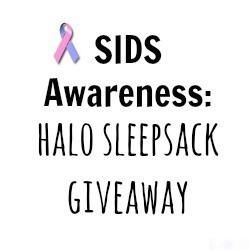 In researching information for SIDS Awareness month, HALO popped-up and I discovered that HALO made SleepSacks for mobile Toddlers – the HALO SleepSack Early Walker! The Early Walker features openings for your little one’s feet so that s/he can walk around while in his/her wearable blanket. 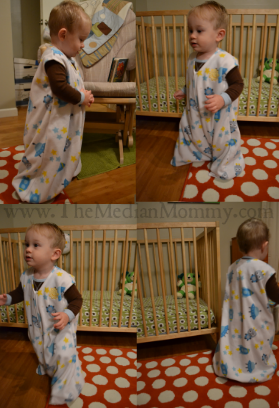 I will add that these SleepSacks run a bit large – Declan is a 24 pound, 32 inch 15 month old and he swims in the 18 month size. I am, however, able to roll up the legs to shorten them; it’s not a huge deal as D is only in his pajamas for sleep, not for play. I like that the SleepSack is sleeveless, allowing for more temperature regulation. There is a great deal of room in the bottom of the SleepSack, making it virtually impossible for your little one to kick off the blanket once his/her feet are inside. Most of all, I like the piece of mind the HALO SleepSack provides me. While Declan is 15 months old, I still worry about having a blanket in his crib with him, and am glad that HALO has the Early Walker. I you’re looking for a safe way to keep your little one warm at night this fall and winter, give HALO microfleece SleepSacks a try! For the latest news, designs, and styles, you can connect with HALO on Facebook, Twitter & Pinterest. 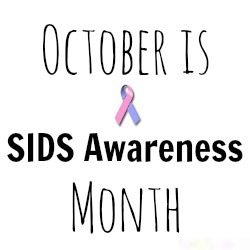 During the month of October, HALO will donate $1 to SIDS Awareness for every new Facebook “like”.